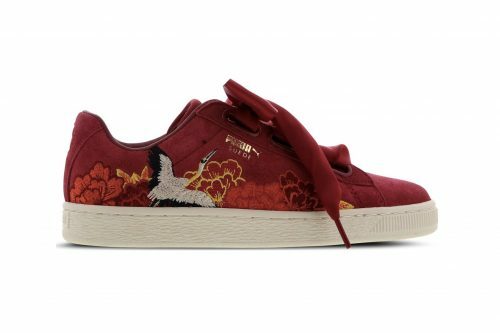 A popular PUMA model for the girls, the feminine Heart sneaker has returned with a Kimono twist! For those who prefer delicate styles with a slight touch of edge, then perhaps these chic new kicks will suit your style. Arriving in two colour ways – red or white – the sneakers are adorned with stunning kimono-inspired embroidery, depicting a crane amongst oversized flowers. You can shop the PUMA Suede Heart Kimono sneakers at Foot Locker for £80. Remember to set the shipping destination as our UK warehouse and receive complimentary FREE local shipping, then we will bring the shoes back to your door!